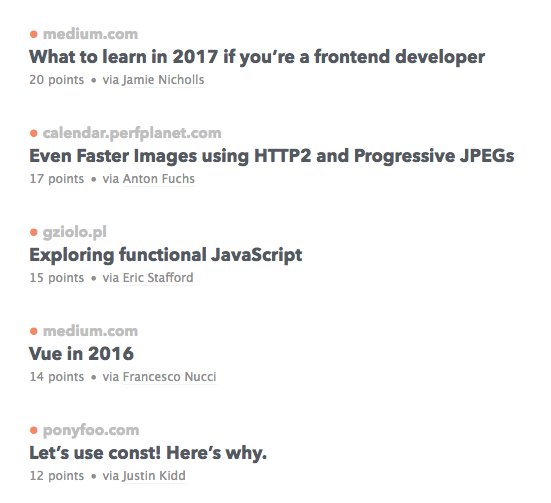 I really like the type here is this list-of-links from the Front-End Front email. The colored bullet starts off a new set. The light gray domain name gives context but isn't distracting. The larger gray has a hint of blue and is just a nice pleasing color. Metadata is set small and not bold, and provides credit as well as a link back to Front-End Front.